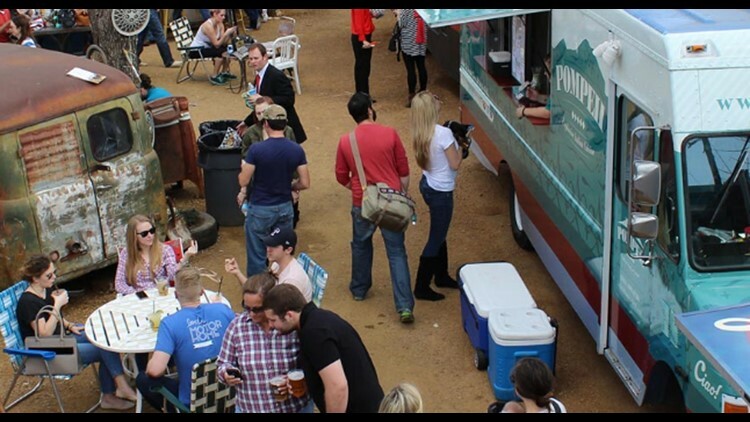 Enjoy the beautiful weather at the Truck Yard off Lower Greenville in Dallas. DFW offers tours and destinations that can make you feel like a tourist without having to leave North Texas. Did the stresses of the holidays take their toll? Did Christmas time mean a little too much together time? Though it’s only January, you may be wishing for a vacation. If you haven’t accrued enough paid time off this year, an exotic trip may be out of the question. Fortunately, the Dallas-Fort Worth region offers tours and destinations that can make you feel like a tourist without having to leave North Texas. TripAdvisor ranked the top things to do in Dallas, based on traveler tour bookings on TripAdvisor Experiences through Dec. 10. The list includes a range of activities that will help you enjoy and learn more about North Texas. Take a taste of Dallas cuisine with food tours in the city’s Uptown and West Village neighborhoods. Or sample five locally made wines, along with gourmet cheeses, pizza and desserts. If you’ve always been intrigued by the theories behind the JFK assassination, get a history lesson and visit key sites related to the event with guided tours. For those wanting to visit the west side of the Metroplex, TripAdvisor’s list includes historical tours around Fort Worth, where you can learn about the city’s founding and its continued growth today. The top places to visit were listed as follows: No. 1 JFK Assassination and Museum Tour; No. 2 3-Hour, Small-Group Sightseeing Tour of Dallas by Fun Dallas Tours; No. 3 Best Tacos and Margaritas Tour from Dallas by Chocolate Tours; No. 4 Small-Group Tour: Dallas and Fort Worth City Sightseeing by Fun Dallas Tours; and No. 5 Dallas Indoor Skydiving Experience from iFly Dallas. You can click here to take a look at the rest of the top 20 things to do in Dallas, in addition to finding links to learn more about all of these experience. If you’re more of just the shopping type, we invite you to check out this gallery of the top places to shop local in North Texas.